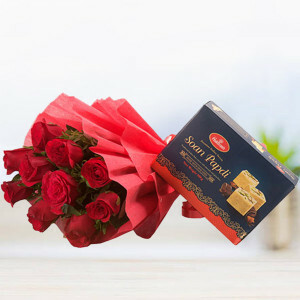 Express your love this Valentine's Day by ordering your darling’s favorites from MyFlowerApp’s Valentine Love Combos range. 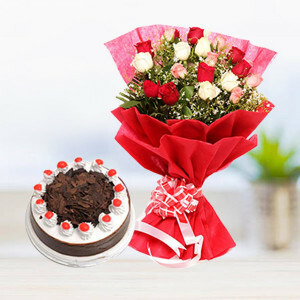 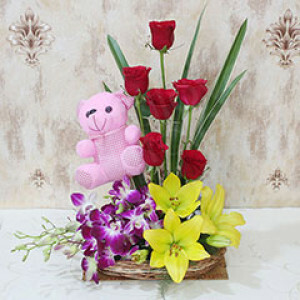 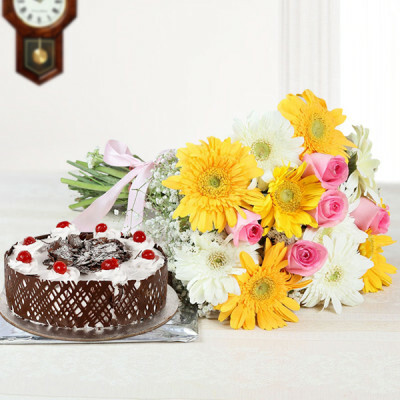 Get romantic combinations of cakes, flowers, soft toys, chocolates, and floral arrangements, among others. We will deliver, anywhere in India, with your love. Celebrate the most romantic day of the year, with your darling, by sending their favorite gifts to their doorstep, online with MyFlowerApp. Whether you both live together, or are in a long-distance relationship, order one of our supreme Valentine Love combos and surprise them with this romantic side of you. 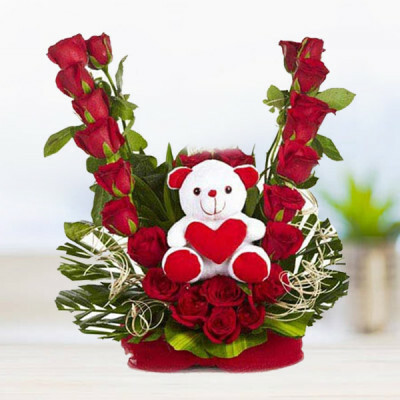 From bouquets, vases, and baskets of their favorite flowers or romantic red roses to personalized gifts with your pictures on them, you can order them all here, and make their Valentine's Day perfect. 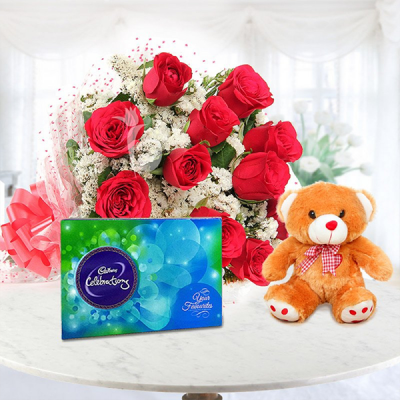 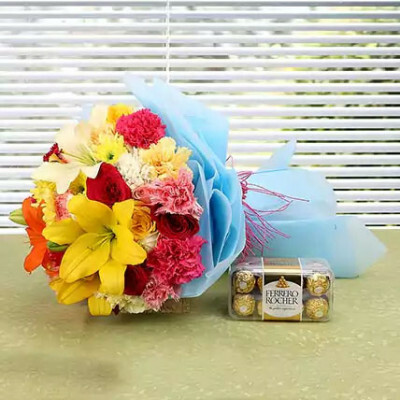 Order romantic combos featuring chocolates, cakes, flowers, floral arrangements, and more gifts or create your own combos by selecting all gifts that your husband, wife, girlfriend, or boyfriend will love. 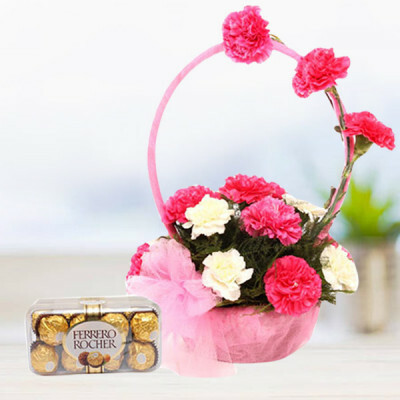 We will deliver them all, anywhere you want in India, with free shipping, including major areas like Delhi, Mumbai, Chennai, Bangalore, Pune, Kolkata, Hyderabad, and Gurgaon. 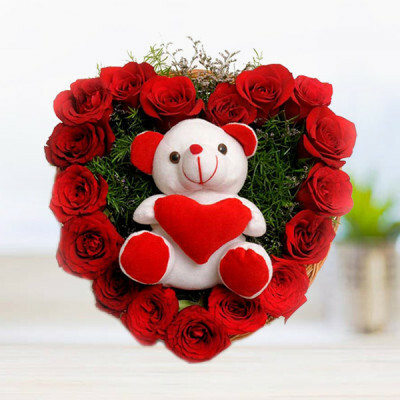 This Valentine's Day 2019, let MyFlowerApp be your Cupid. Order the best Valentine Love Combos for your significant other and get them delivered home swiftly with our trusted delivery services. 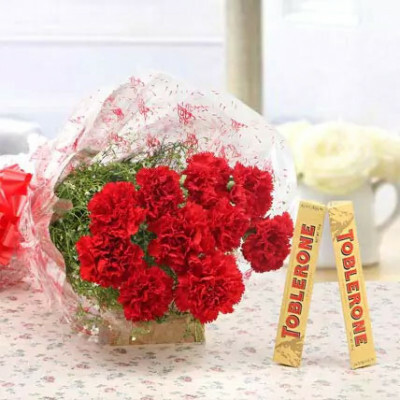 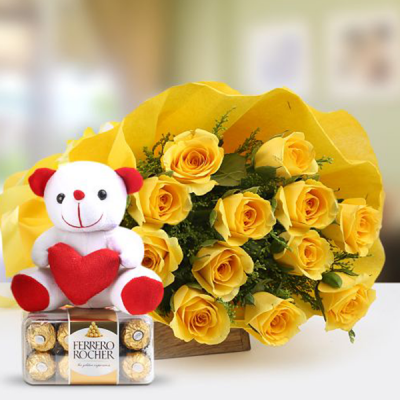 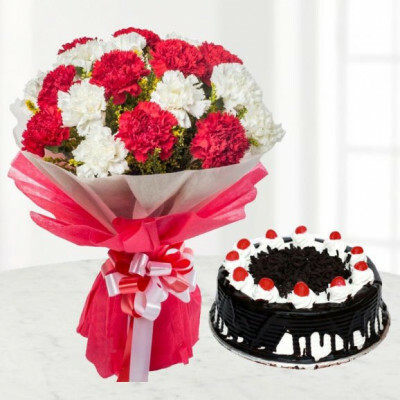 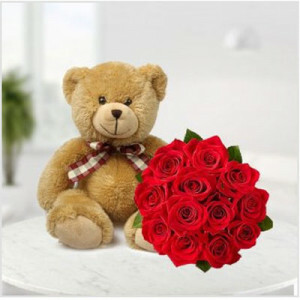 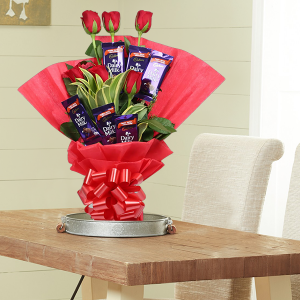 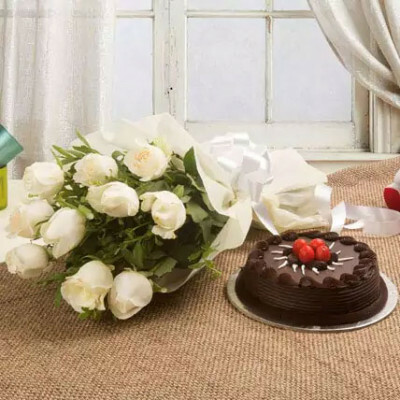 Choose from our numerous amazing combos like ‘Heartfelt Love’ featuring a heart-shaped red rose arrangement and a teddy bear or ‘Untouched Emotions’ with an exotic floral arrangement, a black forest cake, teddy bear, and a box of Ferrero Rocher. 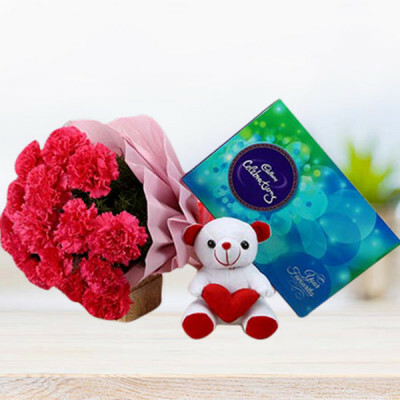 To give your gift a unique outlook, order one of our Valentine personalized gifts and get something significant to you both, or some memorable pictures of you as a couple printed on mugs, cushions, key rings, photo lamps, and even cakes. Send gifts for 2, 3, 4, 5, 6, 7, 8 days of Valentine by ordering our Valentine Serenades and we will deliver them daily without any delays. 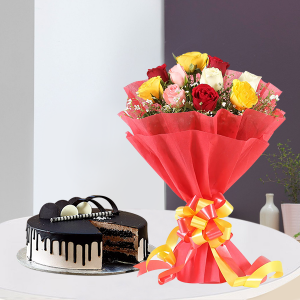 Make your date feel like a scene out of a movie by opting for our Musical Serenades. 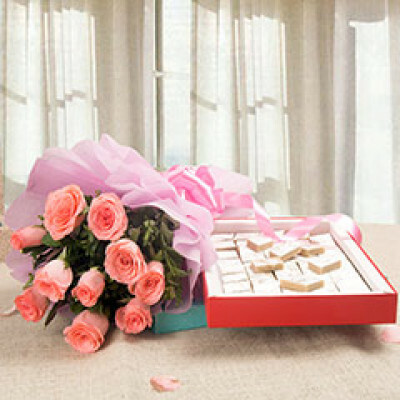 Woo the love of your life as a professional guitarist sings a song of your choice for you. 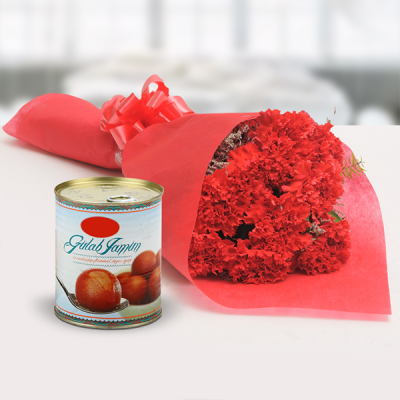 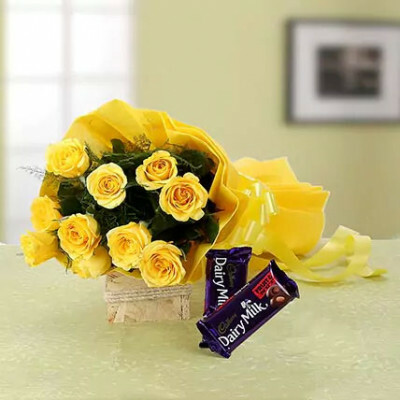 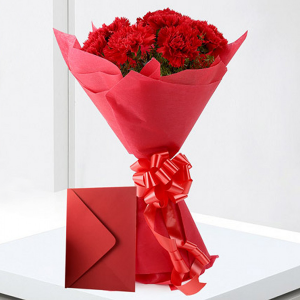 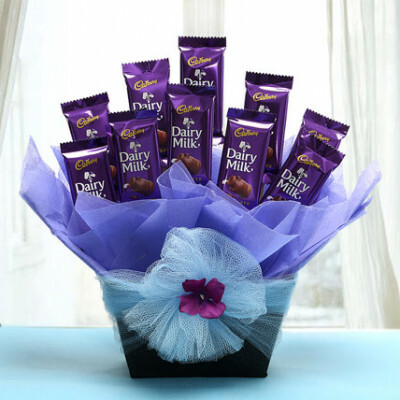 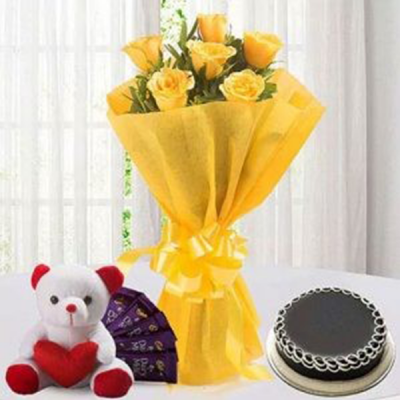 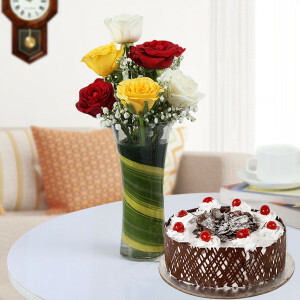 Make receiving these gifts and combos even better for your dearest, by opting for midnight or early morning delivery. Be the first thought on their minds and fill their entire day with your love and affection, with MyFlowerApp. 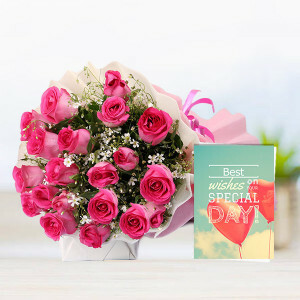 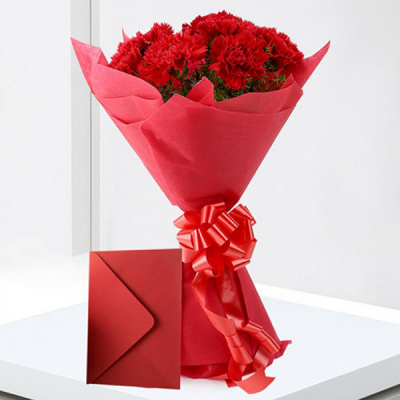 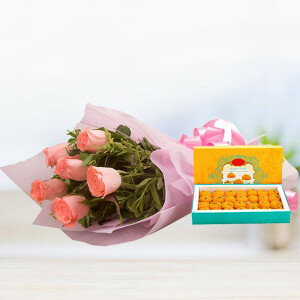 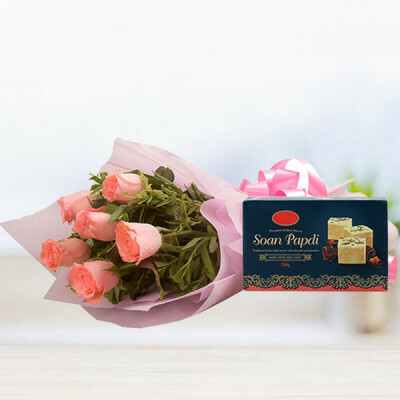 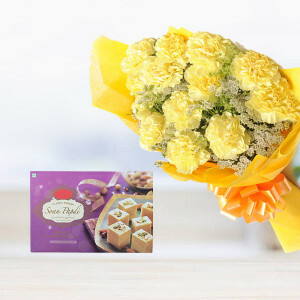 This 14 February 2019, cherish your love and years together by ordering your lover’s favorite Valentine Love Combos and getting them delivered anywhere in India or overseas, on time. 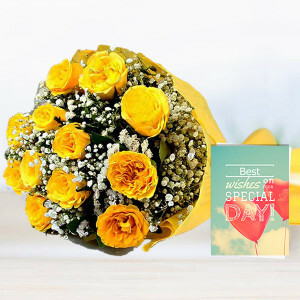 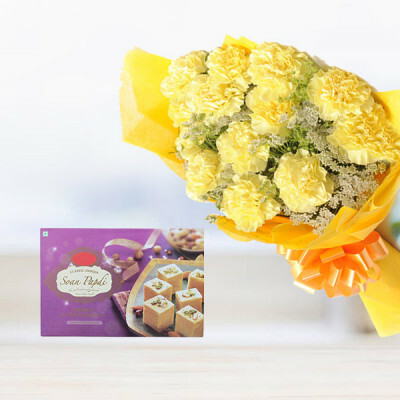 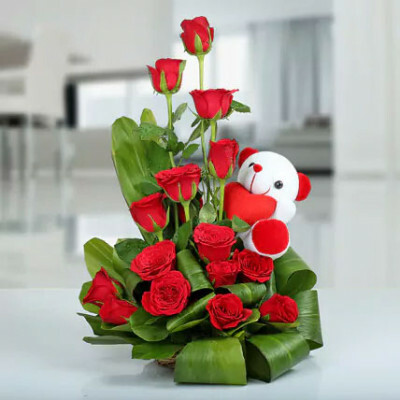 Send your affection through flowers, chocolates, cakes, romantic floral arrangements, personalized gifts, and more whenever and wherever you want. 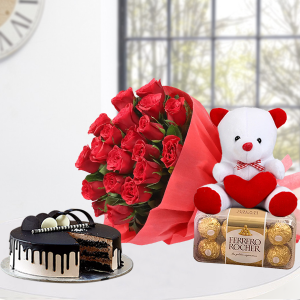 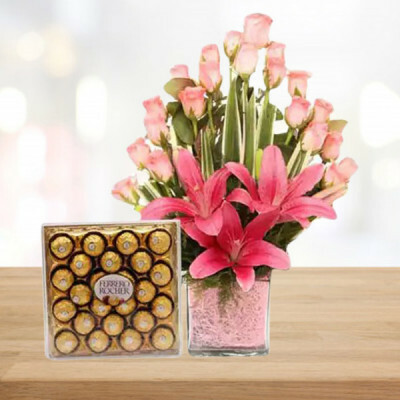 Choose amazing combos like ‘Kiss Me Chocolate Hamper’ with a cute Valentine mug and Ferrero Rocher and send anywhere today, with our same day delivery service or within 3 hours by opting for express delivery. 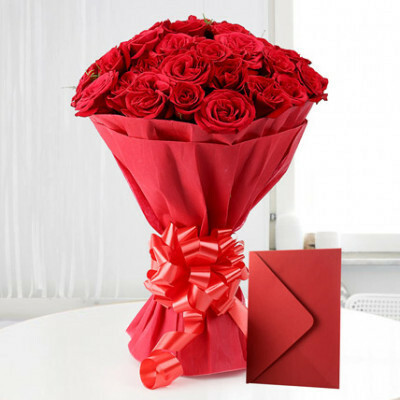 You can now send gifts to your partner anywhere including in countries like Malaysia, Australia, United Arab Emirates, Singapore, South Africa, Canada, Sweden, United Kingdom, France, United States of America, and Germany.